The Bhagavad Gita (translated to Song Divine from the original Sanskrit) is a holy book for all times, places and cultures. It doesn’t belong to one person, nor does it address any one group of people. It is a scripture for all the world and everyone in it, wherever they are in their spiritual quest. The Bhagavad Gita has inspired many people with its powerful teachings and profound truths. It draws from the wisdom of the ancient Upanishads and wraps up all the essence of this wisdom as a practical guide to living. The deep spiritual lessons are as applicable in today’s modern world as they were back in the time of Krishna, more than 5,000 years ago. It’s no wonder that the Bhagavad Gita, originally written in Sanskrit, is the second-most translated book in the world after the Bible. There are countless versions, in many different languages, and with a variety of commentaries on the verses. Now Lissa Coffey has created a very special version of the Gita with her book, Song Divine: A New Lyrical Rendition of the Bhagavad Gita. This Gita is ideal for the western seeker in that the English-translated verses have rhythm, and they rhyme, making them very easy to both understand and memorize. Keeping the words of the Gita in the mind helps us to focus on what really matters in this life, and to remember the vital teachings that Krishna imparts to his friend Arjuna during their intense discussion on the battlefield. In 1970 Andrew Lloyd Weber and Tim Rice put together a concept album for Jesus Christ Superstar. It became a hit, and they launched the stage show in 1971. It went on to be a successful film in 1973, and in 2018 the show was broadcast live on television with John Legend in the lead role. The overwhelming success of Lin-Manuel Miranda’s Hamilton in 2015 has shown that audiences are ready for another Rock Opera. Song Divine fits with the ongoing trend of east meets west, bringing Indian culture to a western audience that has embraced yoga, meditation, kirtan, and Bollywood style dance. Song Divine has history, drama, a riveting story and compelling characters. We want to start with a concept album, and then turn that album into a two-person show, and then turn that show into a large-scale Broadway show with live musicians and dancers on stage with our two leads. We will also explore partnering for a film and a television special. There are many opportunities for merchandising as well. There are 18 chapters in the Bhagavad Gita, and in Lissa Coffey’s book Song Divine. Each one of these chapters has been re-written into lyrics for a song. We have three songs completely produced so far, and more that we are working on. The music is a blend of rock and pop, with many Indian elements that one would hear in traditional kirtans. We have also added two instrumentals to begin and end the show. The book Song Divine is illustrated by acclaimed Indian artist Rajesh Nagulakonda. These illustrations can act as an animated screen backdrop for each song/scene to add another dimension to the stage. We have a unique and appealing mix of east and west, and ancient and modern, in the music, the set design, the costumes, the instruments, and more. Although the Bhagavad Gita has been performed in India in Sanskrit and Hindi, it has never been performed in English in the United States. Song Divine is a totally new and original concept, one that is sure to be popular with both Indian and American audiences alike. The story that is Song Divine takes place on a battlefield in Kurukshetra, located just north of Delhi in India, more than 5,000 years ago. The battle is between two sets of cousins, the Pandavas, to which the warrior Arjuna belongs and is to fight, and the Kauravas. The Kauravas have taken over the Pandavas’ kingdom. After all attempts at reconciliation have failed, Arjuna and his family are forced to fight back. Krishna, worshipped as the eighth incarnation, or avatar, of the Hindu god Vishnu, is a revered god in his own right as well, though he also lived as a man, the king of Mathura, at the time of the war. As a close family friend to both sides, Krishna tried to intervene and prevent the war, to no avail. Krishna refused to bear arms in the battle or take a side. Instead, to make it a fair fight, he offered the loan of his army to one side, and his personal attendance to the other side. Krishna allowed Arjuna to make the first choice. Arjuna chose Krishna, his friend and mentor, to be by his side as his charioteer on the Pandavas side. The Kauravas thought Arjuna made a foolish choice and were delighted to get the use of Krishna’s powerful army. The night before the battle is set to begin, Arjuna asks Krishna to drive him in the chariot between the two armies so he can get some perspective on the encounter with which he is confronted. Seeing the faces of his family, friends, teachers, and neighbors on the opposing side, Arjuna is overcome with confusion and despair. He sees that the Pandavas are outnumbered by the Kauravas, who also have more weaponry. He struggles with questions about the battle, and his own role in it. In this time of mental crisis, he desperately turns to Krishna for answers, for clarity. Krishna, seeing that Arjuna is sincere, open, and ready for this knowledge, patiently explains to his friend everything he needs to know. It is as if time stands still while these two have their conversation, and there is calm amongst the chaos. Although the story takes place on a battlefield, it is really about the battles we are faced with in our own lives every day. Arjuna represents the common man, the working man, and every one of us. We are constantly presented with choices that we don’t want to make. We are torn between what we think is good, and what is actually good for us. We are influenced by our desires and ambitions. The head fights with the heart, the intellect fights with the mind and senses. Krishna, Arjuna’s respected friend and teacher, guides Arjuna toward the higher knowledge he needs in this dire situation. When we come across these challenges, we tend to look outside ourselves for solutions. We want to place blame, to look for some kind of an “out.” But this never works, and the problems only grow larger. What we need to do is, like Arjuna, get a new perspective by seeing each of the oppositions, the sources of conflict with which we are presented. And then dive deep into our own being, turn within. We each have a dharma, a purpose in this life. We each have a calling. When we understand our purpose, it gives us the strength to fight any battle. All of our life’s solutions are found within. Now, probably more than ever, what we are all searching for is peace of mind. We want to be happy, and to be successful. We strive feverishly to obtain whatever it is outside of us that we think it will take to make us happy or successful. But what we don’t understand is that peace of mind is where it all starts. When the mind is calm and tranquil, despite any conditions or situations that we are in, then this provides fertile ground on which happiness and success can grow. Lissa Coffey is an award-winning songwriter, as well as the author of Song Divine: A New Lyrical Rendition of the Bhagavad Gita. She is the founder of CoffeyTalk.com. Lissa is world renowned for her “Ancient Wisdom, Modern Style” philosophy. She has appeared on The Today Show, Good Morning America, HGTV, and many other national and local media outlets. Lissa is a long-standing member of ASCAP, NARAS and The Producer’s Guild (PGA). Her music videos have aired on Nickelodeon, Discovery Kids and The Learning Channel. Lissa was honored with the Dharma Award from AAPNA for “Excellence in Promoting Awareness of Ayurveda.” She was awarded a commendation for the Mayor of Los Angeles for her “Outstanding Contribution to the Yoga Community.” She is a member of NAMA (National Ayurvedic Medical Association), and The Vedanta Society of Southern California. 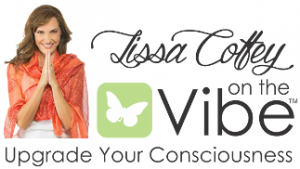 Lissa Coffey has studied Ayurveda and Vedanta since 1996. Her education includes studies with: Deepak Chopra, Vasant Lad, David Frawley, Vaidya Mishra, and The Maharishi University of Management. She currently studies at, and is a member of, The Vedanta Society of Southern California under their head minister, Swami Sarvadevananda, who wrote the foreword to her book Song Divine. Lissa teaches Vedanta and the Bhagavad Gita worldwide both online and in spiritual centers. She is a certified instructor with The Chopra Center. Lissa’s deep background in Vedic studies, along with her experience as a songwriter, teacher, and media personality makes her uniquely qualified to bring this new version of the Bhagavad Gita to the modern, western audience. Because it is poetic, and easy to understand, readers will be able to enjoy the spiritual lessons that are found in Lissa’s version of this iconic, ancient text. This is the first time the Gita has been presented in this way. With the growing popularity of yoga and meditation, the western audience is ready and hungry for it now. Song Divine’s composer and music producer David “Vito” Gregoli is blessed with an insatiable musical curiosity and expertise in multiple genres, from Pop to World and everything in between. Recognized as a master ‘sound painter,’ Vito’s artistic signature is textured acoustic and synthesized compositions blending infectious grooves and exotic instrumentation from around the globe—but it’s his oxymoronic roots in Rock and Classical that bring an exciting freshness to everything he creates. Whether as a player, composer, arranger or producer, Vito’s vast musical vocabulary enhances each project he touches. His diverse skills have been tapped by notable artists, such as New Age legend Constance Demby, Donna DeLory (Madonna), Indian vocalist Mala Ganguly (whose albums Bhajan Beats and Prana Gregoli produced) and Grammy-winner Ricky Kej, to name a few. He’s also worked on projects with Jon Anderson (Yes), Bill Champlin (Chicago) and Michael Manring (Windham Hill), and he once played for Ringo Starr (The Beatles). Vito co-produced and played on a track on Jai Uttal’s 2001 Grammy-winning album, and contributed his engineering skills to the 2016 Grammy-nominated “Love Language” by his good friend, Grammy-winner Wouter Kellerman. Vito recently shared the stage with Ricky and Wouter in a live performance of a piece from their Grammy-winner “Winds of Samsara,” and he was honored to work on a track for “Shanti Samsara,” Ricky’s environmentally themed compilation for the Prime Minister of India. In 2015 Vito toured China with renown spiritual singer Miao as a multi instrumentalist, playing guitars, mandolin, tongue drum, keyboard, flute and sitar. Throughout his work over the years in country, blues, pop and film/TV scoring, one constant has remained for Vito: his spiritual quest. 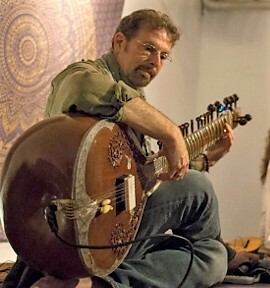 For the last five years, in addition to producing and composing, Vito has been performing, and recording, the devotional music of yoga, Kirtan with various well-known acts all over California, including the largest yoga festival, BhaktiFest, playing on the Main Stage.